The Midfield Concourse (MFC) at Hong Kong International Airport (HKIA) begins full operations today. Mr Zhang Kui, President of Hong Kong Airlines, and Mr Stanley Kan, Director of Service Delivery of the airline attended the grand opening ceremony held by Airport Authority Hong Kong (AA) at MFC. 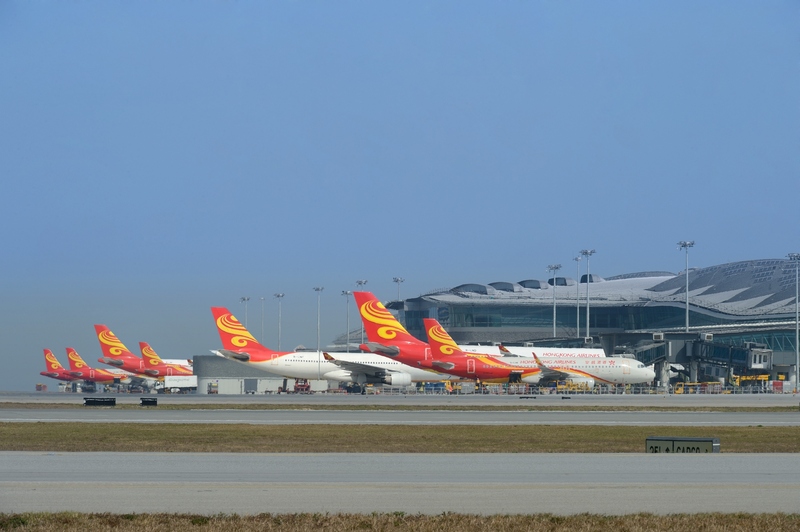 As the first and one of the main carriers using MFC, Hong Kong Airlines currently has over 80% of its flights including both departure and arrival using MFC, enabling most of the airline’s passengers to enjoy the convenience of airbridge which contributes to a more pleasant flight experience. Mr Zhang Kui, President of Hong Kong Airlines said, “We feel very honoured to be the first airline to use MFC. And I am happy that our passengers were in the first batch to experience the new facilities at HKIA. In the past few months, we gradually increased the number of flights at MFC to around 83% currently, making us one of the major airlines at MFC. This change has helped enhance our on-time performance and further improved the overall passenger experience significantly. The MFC is one of the most modern sections of HKIA. The 105,000-square-metre new concourse provides 20 parking positions. Its auxiliary facilities also include the aviation fuel supply system and an extension of the Automated People Mover system connecting Terminal 1 and the MFC. The fully operational MFC can serve about 20% of HKIA’s daily passenger flights with an ability to handle an additional 10 million travellers per year to meet the increasing demand in passenger traffic.